Berkshire Museum has scheduled Beyond the Landscape, an exhibition by Bryan Nash Gill, from January 14 through May 28, 2012. The community is invited to meet the artist at an opening reception to be held on Saturday, January 14, from 5 to 7 p.m. The event is free and open to the public. Gill creates abstract sculptures, works on paper, and installations that are inextricably bound to the materials and inspiration he finds in nature, working and living in a rural New England setting. 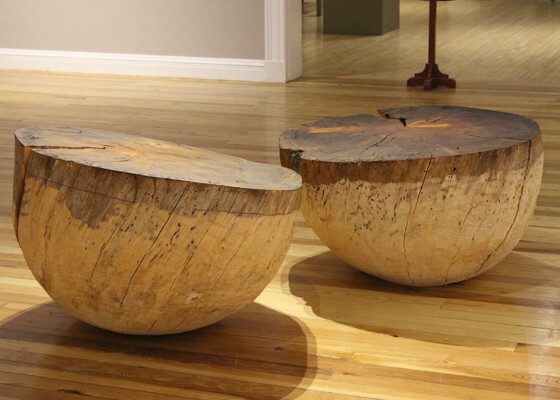 Massive sections of tree trunks are cut and carved; branches and leaves are re-interpreted in bronze; and the growth rings on cross-sections of trees are inked and transferred to hand-made paper. This exhibition evokes a sense of place and speaks to an appreciation for the beauty of the distinctive landscape in our region of New England. Mon.-Sat. 10 a.m. to 5 p.m.;Sun. 12 p.m. to 5 p.m.